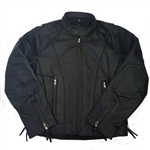 Our kids motorcycle jackets are made of the finest leather and make a great gift for biker girls or boys. 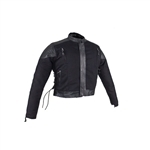 When you order a kids leather jacket from Leather Bound your little one will be received the best quality leather kids motorcycle jacket on the market. Our styles offer comfort and true biker functionality that you and your lil' biker pal are sure to enjoy. We offer the largest size selection for youth including jacket sizes from 2 years to size 24 in boys as well as a awesome selection of kids and baby leather biker vests that start as small as 6 months! If you need help choosing a size we recommend you measure a jacket that fits the child and send us a e-mail at info@leatherboundonline.com with those measurements and a member of our staff will take the time to compare those measurements with our jackets and let you know the best size.